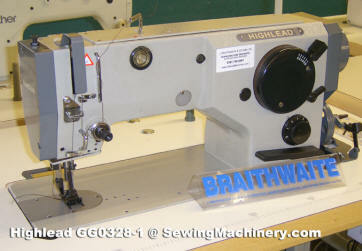 The Highlead GG0328-1 is a walking foot Zigzag sewing machine designed for use with medium and heavy weight materials. 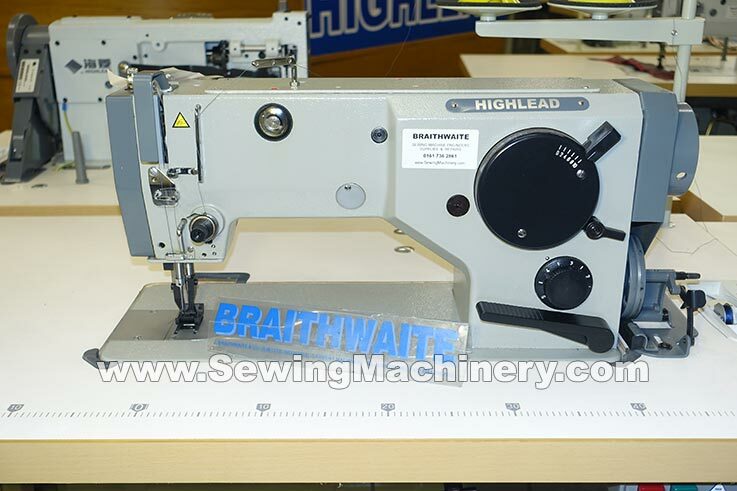 It features an adjustable top feed walking foot and bottom feed mechanism that is suitable to sew medium & heavy weight materials such as canvas, plastics, webbing, leather, synthetics, tarpaulin + heavier than normal standard fabrics. A wide range of sewing threads can be used, with the GG0328-1 being able to sew with up-to size 20* synthetic thread (or size 30 cotton thread) + V46, V69, V92 & V138* heavy duty threads etc. This Highlead model employs a parallel vertical needle bar motion for stronger striking power and a semi-automatic lubrication system which can reduce servicing costs. A large Zigzag width of up-to 10mm + a stitch length of up-to 5mm is available and fully adjustable by the operator. The GG0328-1 model also has the option to sew with a straight style stitch by setting the zigzag width to zero. 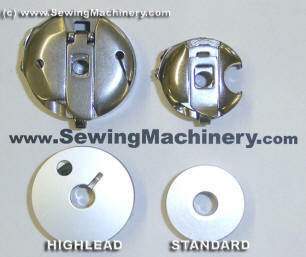 The sewing hook & base containing the lower bobbin is twice the normal size, resulting in less bobbin changes, which is of particular use when using thicker than normal threads. 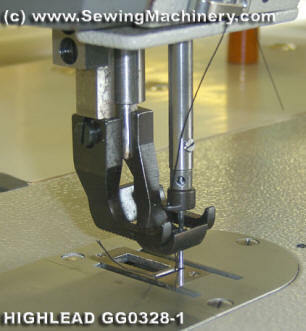 Highlead GG0328-1 industrial zigzag sewing machine can be used on Sails, leather goods, bags, canvas/plastic, handbags, nets, bandages, straps, Velcro, Neoprene, body supports etc. Needle size: DPx35 size 100 to 140.